This guide helps you find national and thematic histories in children's literature. To find historical overviews search the Library catalogue using the terms Childrens stories history OR Childrens literature history and click Search. You can refine your search using the options in the column on the left hand side of your screen, such as Subject or Creation date. To find articles in this field click on the 'Literary criticism' tab at the top of this page and follow the instructions for database searching outlined there. Click on the video about the Children's Literature Digital Resources project of Queensland University of Technology that has digitised 500 early Australian children's books available through AustLit. Arrangement of CLDR primary sources enables full text searching, identification of texts between 1851 and 1945 and secondary sources accesses critical works by children's literature scholars. To find lists of Australian children's books, search the Library catalogue using the phrase children's literature Australian bibliography. You can refine your search using the options shown in the column on the left hand side of the results list. To find the history of children's book publishing in a specific country follow the instructions for finding Australian historical overviews given above, but substitute the name of the country you choose or a region such as Europe. To find thematic histories of children's literature follow the search strategy given above using the terms children's stories history plus your specific subject, such as school for histories of school stories for children. 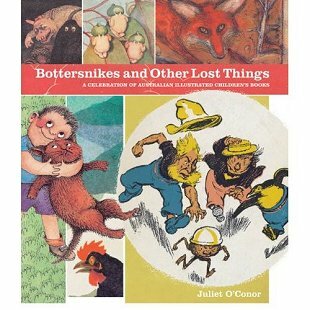 AustLit initiated the Children's Literature Digital Resources website which links to full text and images of out of copyright digitised Australian children's books and criticism.